Here's what you need to know before heading into town on Monday. 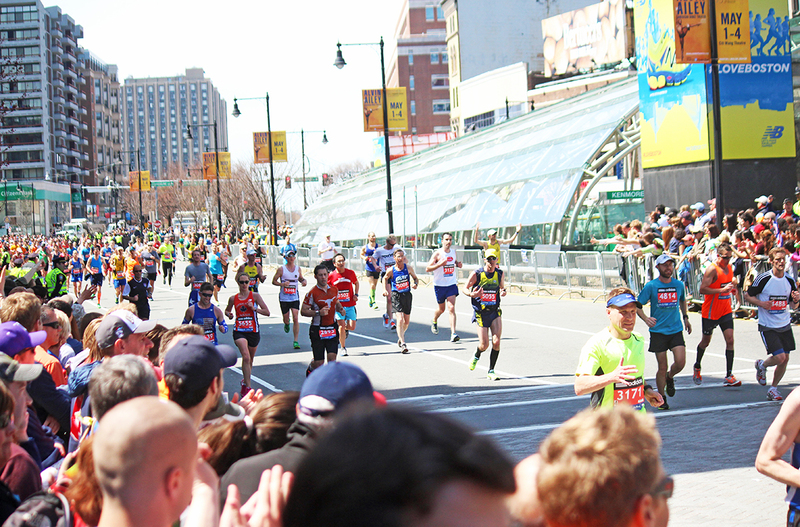 By Bryanna Cappadona·	 4/15/2015, 8:00 a.m.
As the 2015 Boston Marathon quickly approaches, it’s important that spectators get caught up on the specific rules on transportation on the days leading up to and the day of April 20. First, note that all traffic restrictions are made in the interest of public safety by Boston’s Police and Transportation Departments. While in and around the city, drivers are encouraged to pay close attention to posted signs. 5 a.m.: Streets near Boston Common including Tremont, Washington, Avery, Park, Beacon, and Cambridge. 8 a.m.: All streets east of Mass. Ave. including Mass. Pike Exit 22; all streets west of Mass. Ave including Kenmore Square Audubon Circle. 8:30 a.m.: All streets in Brighton’s area leading into the route. A complete list of roads is here. 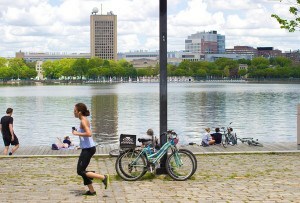 Parking restrictions will be enforced in and around Back Bay on marathon Monday, as well as Saturday, April 18 due to the Boston Athletic Association’s pre-marathon Saturday events. Also note that Patriot’s Day is a holiday in Boston, thus all parking meters are free. A more detailed list of “no stopping” zones is here. If you’d like to avoid parking and traffic restrictions all together, the MBTA will be open for travel on marathon Monday, and all trains will run on a holiday schedule. Copley and Arlington Stations on the Green Line, however, will be closed. Between 10 a.m. and 6 p.m., stations at South Street, Kent Street, St. Mary’s Street, and above-ground branches of the Green Line will be closed. The MBTA recommends that riders purchase round-trip tickets to ensure a quicker return trip. Below, find an official map of all the streets with parking restrictions and closures in Back Bay, Kenmore, and Commonwealth Ave areas. For more information on traffic regulations in Boston on Marathon Monday, see cityofboston.gov.